Saeb Erekat undergoes successful lung transplant in North Virginia hospital. Former Palestinian Authority (PA) chief negotiator Saeb Erekat underwent a successful lung transplant at Northern Virginia's Inova Fairfax Hospital. 62-year-old Erekat serves as the Palestine Liberation Organization's (PLO) Secretary General, and heads the organization's negotiating team. Last year, Erekat was diagnosed with pulmonary fibrosis; a respiratory disease caused by the formation of scar tissue inside the lungs. As the scars form, breathing becomes increasingly difficult and painful, and the lungs less able to bring oxygen into the body. This in turn often results in heart failure. 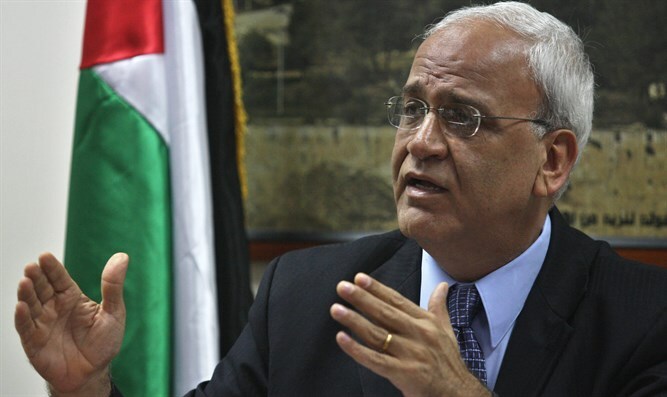 Erekat received medical treatment in Israel, and in August it was reported that Erekat was waiting for a lung transplant in Israel. However, the Ministry of Health and the National Transplant Center said Erekat was not on the waiting list for a lung transplant in Israel. In September, Erekat traveled to the US to await his transplant, which was performed Thursday night. Prior to the diagnosis of his condition, Erekat often represented the PA on Western news media outlets, attacking Israel and accusing the Jewish state of genocide, massacres, and war crimes. In 2014, Erekat defended the use of the term “genocide” to describe Israel’s struggle against the Hamas terror organization in Gaza following the kidnapping and murder of three Israeli teens, and a wave of deadly rocket attacks on Israeli towns. In 2013, Erekat accused Israel of applying a policy of apartheid in Judea, Samaria and eastern Jerusalem.